“Trans rights are human rights. It is dangerous and irresponsible for any party, especially one with a majority government, to pass a resolution endorsing discrimination against anyone and telling people how to identify themselves. Rather than working with the trans community to address issues of violence, discrimination, and suicide that disproportionately affect them, the PC party is trying to erase their identity and erode their rights. 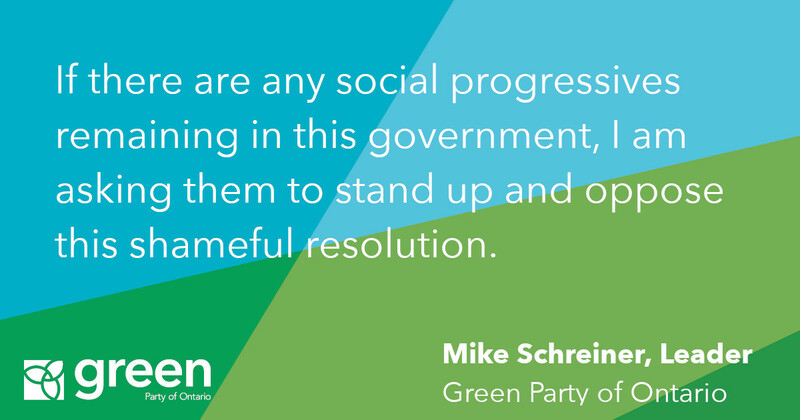 If there are any social progressives remaining in this government, I am asking them to stand up and oppose this shameful resolution. This resolution should have never seen the light of day. I’m disturbed that Premier Ford and other MPPs have not come out quickly to condemn it today at Queen’s Park. The Premier must make it crystal clear that his government supports trans rights and say unequivocally that this resolution will never see the light of day under his government.